This article was produced as part of The College & University Research Collaborative, an innovative project to bring academic research and expertise to Rhode Island policymakers. The article was developed as part of The Collaborative’s initiative to engage undergraduate students in research for state leaders. The U.S. is one of the only developed nations that doesn’t guarantee workers paid leave to care for a newborn child or a sick family member. 182 out of 185 countries around the world provide some form of paid maternity leave, and 70 countries also offer paid paternity leave, while the U.S. guarantees neither.1 As a result, just 12% of American workers have access to paid family leave through their job.2 For the rest, taking time off to care for a sick family member or bond with a new child can result in financial hardship, workplace penalties, or even the loss of a job. President Obama recently launched a campaign to expand access to family leave for workers across the country. (a) But a handful of states, including Rhode Island, are already leading the way with their own programs. Paid family leave, known in Rhode Island as Temporary Caregiver Insurance (TCI), ensures people have the capacity to take time off work to care for their family by providing partial replacement for lost wages and, in Rhode Island, guaranteeing their jobs will be available when they return. California was the first state in the U.S. to implement state-sponsored paid family leave in 2002, followed by New Jersey in 2008 and Rhode Island in 2013. (b) How is paid family leave (PFL) working in Rhode Island and other early adopter states, and how might it be improved? Our research evaluates evidence about the effectiveness of state-sponsored paid family leave programs. While studies indicate that PFL has health and financial benefits for families as well as potential economic benefits for states, the data suggest that some workers benefit more than others. 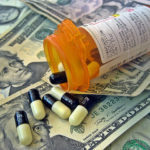 Adjusting how benefits are calculated could make PFL more accessible to the low-income families who need it the most and who are most likely to go on public assistance – and thus cost the state tax dollars – without it. For the 88% of American workers who don’t have access to paid family leave,(c) taking time off to care for a family member can mean losing their job or facing workplace discipline or sanctions.4 Even for workers who are permitted to take time off, the leave is almost always unpaid. 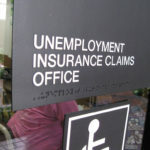 (d) Losing a job or taking unpaid leave from work has both immediate and long-term economic consequences for families. In the short run, households must survive on a drastically diminished budget, a particular problem for those who are barely in the black to begin with. Even if a worker eventually finds a new job, research shows that spells of unemployment significantly decrease future wages.5 Given these challenges, government-sponsored PFL can be a tool to foster security both for families and for the economy as a whole. The paid family leave programs(f) in Rhode Island, California, and New Jersey provide between four and six weeks of income replacement at up to two-thirds of a worker’s normal wages. In each of these states, PFL is structured as an extension of Temporary Disability Insurance (TDI),(g) a program that provides short-term wage replacement for people who miss work due to non-work-related illnesses or injuries. The PFL program expands this coverage to people who miss work because of a family member’s health needs, rather than their own. All three states fund PFL through an employee payroll tax. Funding the program in this way ensures that the beneficiaries (workers) pay for it, rather than placing the burden on employers. While having workers fund the program makes sense, the particular structure of the employee contribution system is, in practice, regressive, in that it places a greater burden on low- and middle-income workers. Like some other programs funded by payroll taxes, such as Social Security, PFL is funded through a fixed tax rate applied to a worker’s taxable earnings up to a specific income level, above which the tax is no longer applied. In Rhode Island, for example, the PFL and TDI programs are funded through a joint 1.2% tax on a worker’s first $64,200 in income. (h) The combination of the flat tax rate and the income cap means low- and middle-income workers end up paying a greater percentage of their earnings to fund the program than high-income workers (see Figure 5). Why Does Paid Family Leave Benefit Some Workers More Than Others? A more troubling problem is that many low-income workers may be unable to afford to take leave, even when they have access to a state-sponsored partial reimbursement. Existing PFL programs provide less than two-thirds of a worker’s missed wages. 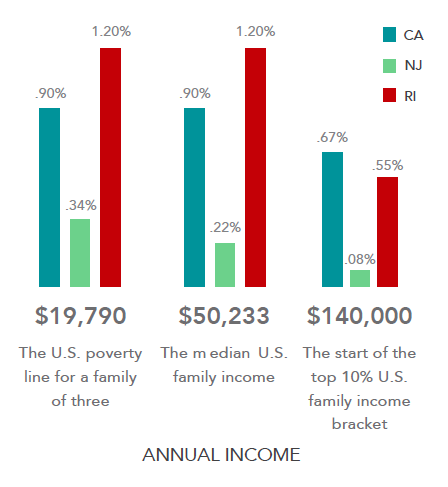 As Figure 6 shows, for Rhode Island families already living in poverty, losing a third of their income may simply leave them with too little to make ends meet. 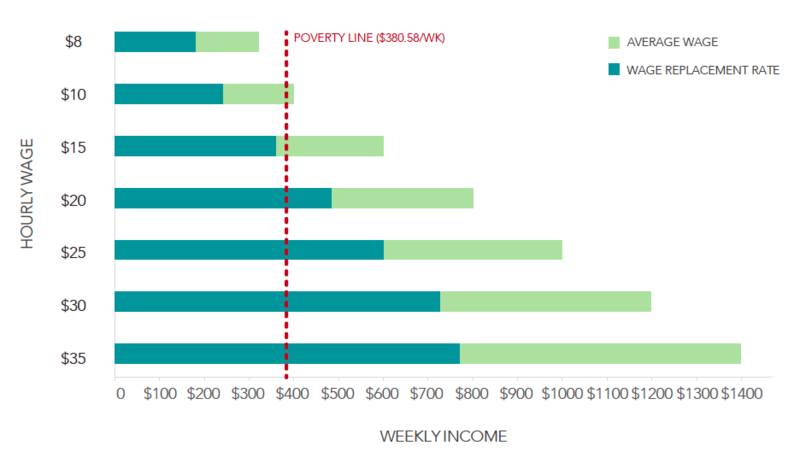 The maximum PFL benefit for a full-time, minimum-wage worker in Rhode Island with two children is $192 per week, which is 50% below the poverty line. (j) Most likely, workers like these simply cannot afford to take time off, even with the 60% wage replacement provided by PFL. If taking time off is unavoidable, it might make more sense for a worker to quit their job and apply for state aid than to take PFL. In Rhode Island, only full-time workers earning more than $15.86 per hour receive PFL benefits that put them above the U.S. poverty line (assuming a family of three that includes a single parent and two children). led the nation in addressing this issue by passing paid family leave policies that help workers take time off to care for their families. These states can continue to lead the way by ensuring that low-income workers benefit from PFL (which they help pay for), so that it isn’t a program that taxes them more while benefitting them less. As the group most at risk of losing their job or winding up on state assistance without PFL, low-income workers should be a high priority for states trying to protect their economies. There are several measures that could help increase the use of the PFL program among the working poor, and therefore maximize the economic benefits of PFL to the state economy. A statewide education campaign, with a particular focus on low-wage workplaces, could increase utilization by educating workers about the program and their entitlement to benefits. The state could also consider requiring all employers to provide information about PFL to workers. Perhaps more importantly, implementing a more progressive wage replacement system so that lower-income workers who take PFL receive a higher level of benefits could ensure that no one falls below the poverty line as a result of taking paid family leave. Given that low- and middle-wage workers are those who both need PFL the most and who pay the largest portion of their salary into the program, it is essential that these workers can afford to take advantage of it. Ensuring all workers have access to PFL could also be a smart economic move for the state. It could keep people employed and reduce social service reliance during times of family crisis, and lead to higher earnings, and thus more tax revenue, in the long run. Adam Peck and Bryce Covert (2014) “U.S. Paid Family Leave Versus The Rest Of The World, In Two Disturbing Charts,” Think Progress, July 30. Laura Addati, Naomi Cassirer, and Katherine Gilchrist (2014) “Maternity and paternity at work: Law and practice across the world,” Geneva: International Labour Organization. Bureau of Labor Statistics (2013) “National Compensation Survey: Employee Benefits in the United States, March 2013,” Washington, DC: U.S. Department of Labor. National Partnership for Women and Families (2013) “A Look at the U.S. Department of Labor’s 2012 Family and Medical Leave Act Employee and Worksite Surveys,” Washington, DC. Washington, DC: Public Welfare Foundation. In their survey, 11% of people said they had lost a job after taking time off to recover from an illness or care for a sick family member. Daniel Cooper (2014) “The Effect of Unemployment Duration on Future Earnings and Other Outcomes,” working paper no. 13-8, Boston: Federal Reserve Bank of Boston. Eileen Appelbaum and Ruth Milkman (2011) “Leaves that Pay: Employer and Worker Experiences with Paid Family Leave in California,” Washington, DC: Center for Economic and Policy Research. Alison Earle and Jodi Heymann (2006) “A comparative analysis of paid leave for the health needs of workers and their families around the world,” Journal of Comparative Policy Analysis, 8(3): 241-257. Linda Houser and Thomas P. Vartanian (2012) “Pay Matters: The positive economic impacts of paid family leave for families, business, and the public,” New Brunswick, NJ: Rutgers University Center for Women and Work. Linda Houser and Thomas P. Vartanian (2012) “Policy Matters: Public Policy, Paid Leave for New Parents, and Economic Security for U.S. Workers,” New Brunswick, NJ: Rutgers University Center for Women and Work. 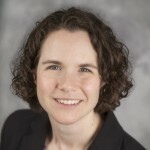 Lynn Feinberg (2013) “Keeping Up with the Times: Supporting Family Caregivers with Workplace Leave Policies,” Insight on the Issues series, no. 82, Washington, DC: AARP Public Policy Institute. Karen White, Linda Houser, and Elizabeth Nisbet (2013) “Policy in Action: New Jersey’s Family Leave Insurance Program at Age Three,” New Brunswick, NJ: Rutgers University Center for Women and Work. Daniel Da Ponte (2014) Chairman, Rhode Island Senate Committee on Finance, personal interview with Rachel-Lyn Longo, April 9. Sharon Learner & Eileen Appelbaum (2014) “Business As Usual: New Jersey Employer’s Experiences with Family Leave Insurance” Washington, DC: Center for Economic and Policy Research. California Employment Development Department (2015) “2015 California Employer’s Guide,” DE 44 Rev. 41 (1-15), Sacramento, CA: State of California, Labor and Workforce Development Agency. New Jersey Department of Labor and Workforce Development (2015) “Family Leave Insurance Benefits  General Information,” Trenton, NJ [website accessed January 9, 2015]. Rhode Island Department of Labor & Training (2015) “Temporary Disability Insurance / Temporary Caregiver Insurance,” Cranston, RI [website accessed January 9, 2015]. Brie Lindsey and Daphne Hunt (2014) “California’s Paid Family Leave Program: Ten Years After The Program’s Implementation,” Sacramento, CA: California Senate Office of Research. It is important to note that not all workers earning less than $25,000 a year are eligible for PFL. If they work intermittently or not at all, they may not have any income during the period on which benefit calculations are based. As a result, it is difficult to calculate the exact percentage of the public who make under $25,000 and qualify for the program. State of New Jersey Department of Labor and Workforce Development (2014) Family Leave Program Statistics, 2009-2014 [data files]. (a) President Obama is expanding paid parental leave for federal workers and asking Congress for $2 billion to help states create paid family leave programs. He is also pushing for the passage of the Healthy Families Act, which would allow all workers to earn paid sick and family leave time. (b) In 2007, Hawaii also implemented a program to encourage family leave, but it is controlled and funded by employers and participation is optional. (e) In California and New Jersey, one of the fastest growing segments of the population using PFL is people who are caring for an elderly family member.9 Rhode Island has a slightly larger elderly population than the U.S. as a whole, so an increasing number of older workers may use PFL to care for their parents and elderly relatives. PFL may help keep these people in the workforce longer: According to the Employee Benefit Research Institute, one in four retirees reports that they left the workforce early to care for a spouse, parent, or other family member. (f) While all three states provide replacement for lost wages, Rhode Island is the only one that provides job protection, requiring that an employee be restored to the same position, status, and benefits after PFL. 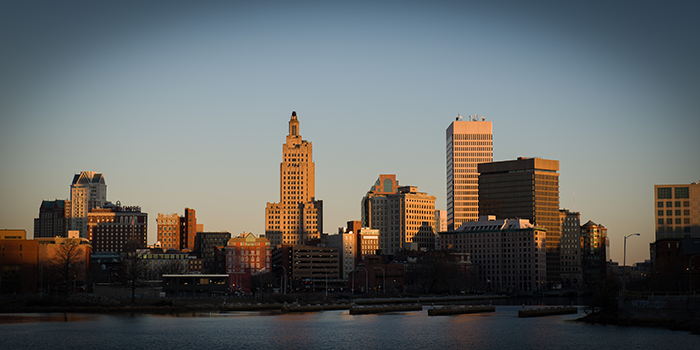 (g) Rhode Island has had a Temporary Disability Insurance (TDI) program since 1942. It expanded the program to include PFL in 2013, calling it Temporary Caregiver Insurance (TCI). (h) Based on the current rates, a Rhode Island worker could pay up to a maximum of $14.82 a week in TDI/PFL taxes. (j) According to the U.S. Census, 13.6% of the state’s population lives below the poverty line. 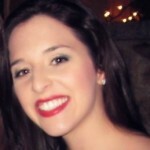 Rachel-Lyn Longo is a recent graduate of the University of Rhode Island and holds a B.A. in Political Science and Psychology. In the future, she plans to continue her research in public policy.